At APT, we offer a scheme for students between the ages of 14 and 16 in order to give them an insight into a career in manufacturing. Our young apprentices gain hands on experience in our state-of-the-art departments and learn from our skilled engineers. 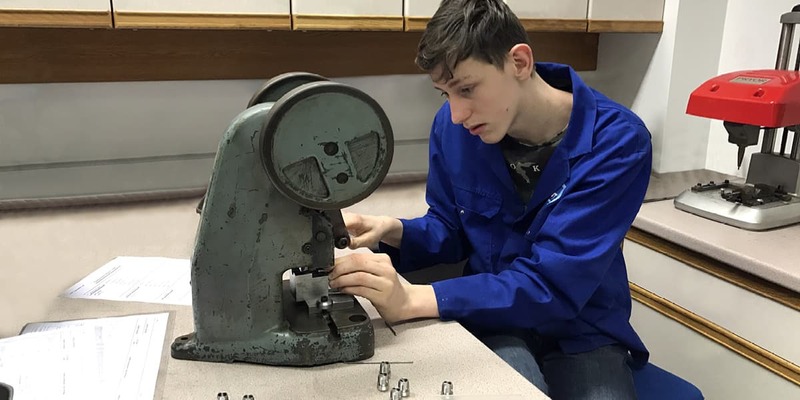 APT has formed a partnership with the local Stephenson Studio School in Coalville to give young people a taste of working in the manufacturing industry. We select one apprentice every academic year and they join us at APT once a week over a period of 9 months. This student is offered opportunity to move around every team at APT and to assist in every aspect of the manufacturing and production process. Under strict guidance and supervision, they learn about selecting raw materials, our latest CAD modelling software, machine programming, quality control systems, accounts, dispatch and component assembly. On the factory floor, they work with our high speed fixed and sliding head lathes and see our advanced CNC milling centres in operation. For APT, running this placement scheme is a perfect fit with our ethos. Every one of our engineers is trained on our 4 year in house training scheme. We believe that our engineers should be expert in every aspect of the manufacturing process. Our comprehensive work placement scheme reflects this. Adam, our latest apprentice, is a driven 14-year-old with his sights set on a career in the Armed Forces. He is studying Engineering and Computer Technology as part of his GCSEs. 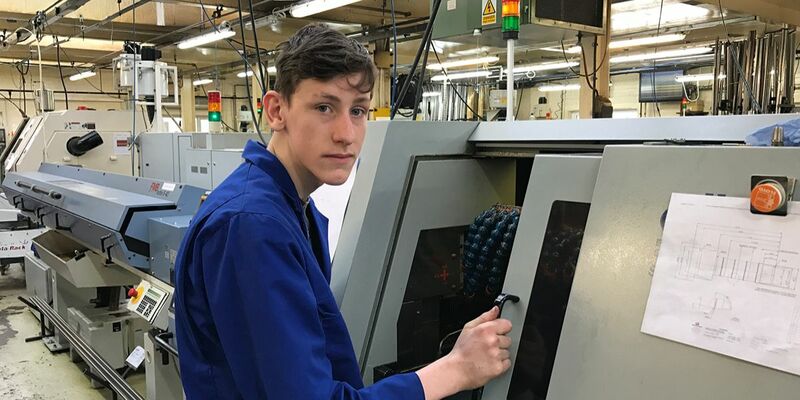 An army cadet for the past 3 years, he plans to enlist in the Armed Forces and take advantage of the high standard of engineering training he will receive there. For as long as he can remember, he has been interested in engineering. 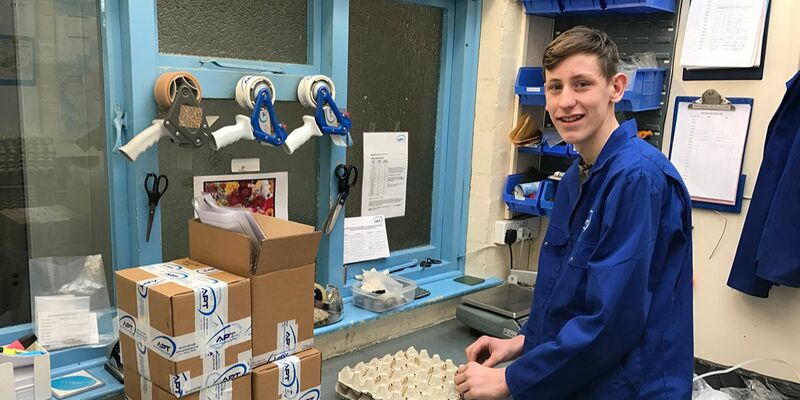 Adam wanted to join APT’s scheme because it offered him a huge variety of practical content with hands on experience in all aspects of the manufacturing process. 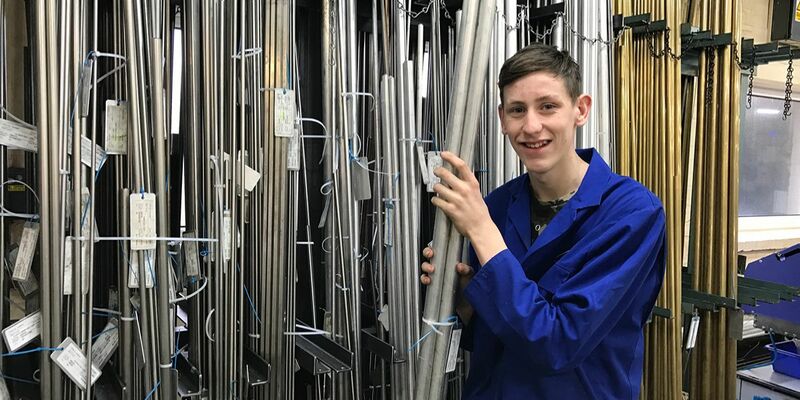 He has been with us since November and has spent time in all our departments, from component assembly to parts packing, but his favourite job so far has been monitoring the sliding head lathes. When asked what surprised him the most about APT, Adam commented, “the one thing that amazed me was the amount of effort it takes. Before now, I had not fully appreciated the skill of the engineers and the precision involved in producing every single part”. At APT, the students see exactly how a manufacturing company works, at every stage in the production process. We want to show them APT’s expertise and the hard work necessary to pursue a career in the manufacturing industry. We hope to inspire the best to make engineering their career.